Functional short leg is a fairly common condition that typically occurs due to inflexibility or muscle weakness at the pelvis, ankle, and foot complex. Runners sometimes experience the condition when running over certain surfaces that are unstable or not level. It can also occur due to inappropriate footwear. This condition can cause pain in the lower spine, hips, buttock, and leg. If left untreated, it can lead to balance issues, neck and shoulder problems, and incorrect weight distribution. Chiropractic care has been proven to effectively treat functional leg syndrome. What Is Functional Short Leg? Patients with a functional short leg have an apparent short leg although structurally both legs are the same length when measured. The most common method for measuring leg length is from the medial malleolus (inside ankle bone) to the ASIS (front of the pelvis). When the legs are measured in the case of a functional short leg, they are equal in length. Mothers who always carry a child on one hip or individuals who always sleep on the same side can experience functional short leg syndrome. In fact, any movement, posture, or activity that causes increased stresses on the joints, nerves, and muscles involved can create an imbalance. Where with functional short leg syndrome one leg is apparently shorter than the other but not structurally so, an anatomical short leg is structurally shorter. This can happen due to growth problems, structural issues, and curvature of the spine. The differences between the two conditions are significant, particularly when it comes to treatment. Both conditions can be treated by chiropractic for pain. 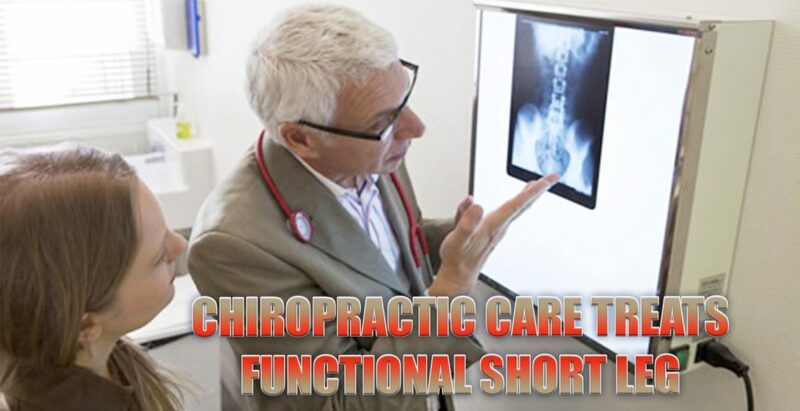 Functional short leg syndrome can greatly benefit from chiropractic care as it helps to realign the body. Functional short leg syndrome symptoms can remain confined to the leg, lower back, and hip region, or it can affect the entire body. When walking it can affect the way your feet hit the ground, causing pain in the foot and ankle. The human body is a marvelous, mysterious machine. When part of the machine is not working properly, the body will naturally attempt to fix it. If it cannot fix the problem, it finds a work around to compensate for the problem. This can lead to misalignment of the spine and imbalance in the body. 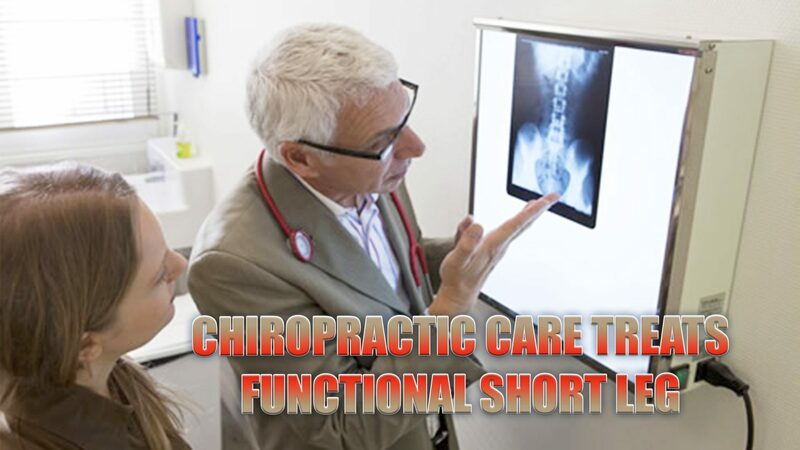 When you go to a chiropractor for functional short leg, he or she will do a thorough exam on you including diagnostic tests like MRI and x-ray. Once a diagnosis has been confirmed, the chiropractor will begin what is usually a multi-faceted approach that incorporates spinal alignment, a heel lift, lifestyle change recommendations, and exercises that you can do at home. The chiropractic adjustments will return the spine to its natural position and bring the body back into balance. Patients will usually experience a dramatic decrease in pain or the pain will go away completely. They will also enjoy increased mobility and flexibility as well and an overall sense of wellness.